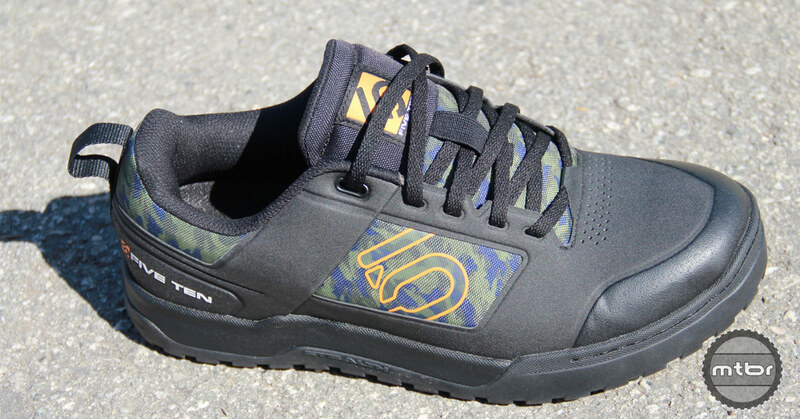 Five Ten Impact Pro, camo colorway. 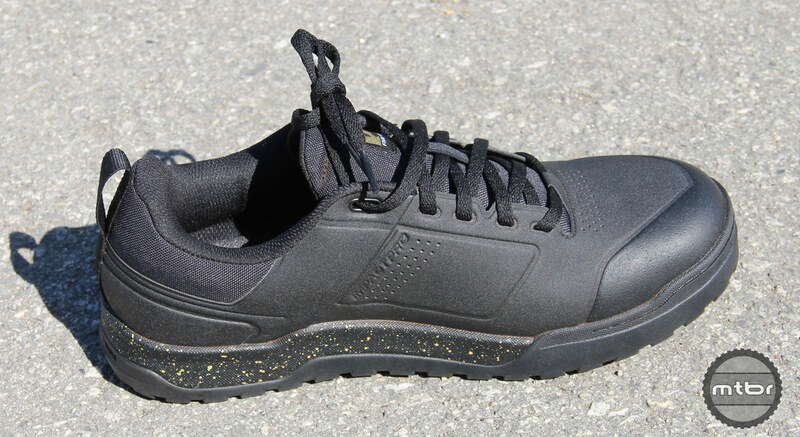 Five Ten has updated their Impact Pro flat pedal shoe. The update list includes the sole, toe protection, foot bed and lace retainment. Two colorways are available, though the camo variant is already sold out (it looks so good!). Five Ten Impact Pro, S1 rubber sole. The sole has been updated using a Stealth S1 rubber multi-dotty sole to improve mud shedding while providing consistent grip on the pedal and traction for hiking. You will notice siping on the toe and heel dots to increase traction for hike-a-biking. 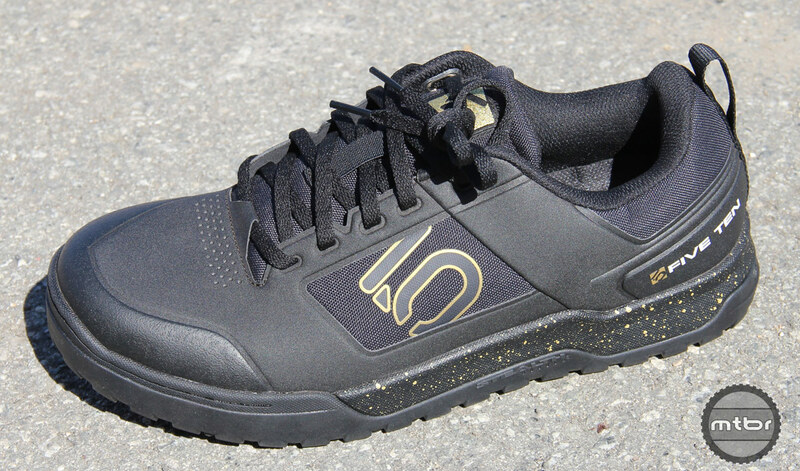 Five Ten Impact Pro, black and gold. Five Ten know that toe strikes can happen, regardless of how much riders dislike them. Who wants to kick a rock? They have used Poron XRD foam for the toe cap, which hardens upon impact. Sweet! They also added an elastic strap to stow the laces and keep them from getting personal with your chainring. The shoe features a synthetic upper which dries quickly and is abrasion resistant. The midsole support is now polyurethane, which does not break down as quickly as EVA. Pricing is $160, and it is presently available. Black and Gold will match your Eagle drivetrain nicely. For more information, visit www.adidasoutdoor.com. This article is part of Mtbr’s coverage of the 2018 Sea Otter Classic in Monterey, California. For more from Sea Otter CLICK HERE. With 210 lbs of solid, descending mass, John is a good litmus test of what bikes and components will survive out there in the real world. And with a good engineering mind, John is able to make sense of it all as well. Or at least come up with fancy terms to impress the group.